The urine of house mice, unlike humans, contains large amounts of proteins, which are mainly major urinary proteins or MUPs. These proteins function to stabilize the release of volatile pheromones from urinary scent marks. 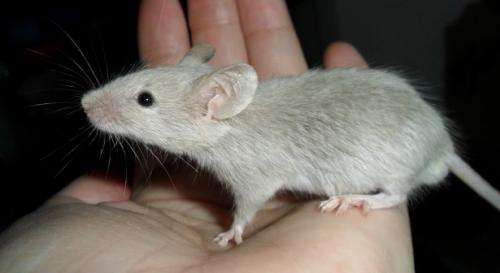 MUP genes occur in a large cluster in mice, and there are 21 different MUP genes, whereas humans have only one MUP gene, which is no longer functional. Until now, researchers have assumed that MUP genes in wild populations of mice were highly variable, and that MUP proteins provide a unique individual signature or 'barcode' that mediates individual and kin recognition. Studies to confirm this critical assumption have nevertheless been lacking. Researchers from Vetmeduni Vienna now analysed the MUP genes in the respective cluster as well as the proteins. Their findings directly challenge the MUP barcode hypothesis. "We are interested in the genetic bases of chemical communication and kin recognition. We have been focusing on MUPs because they have are often claimed to provide the genetic basis of kin recognition and inbreeding avoidance, explains Dustin Penn from Konrad Lorenz Institute of Ethology at Vetmeduni Vienna. The barcode hypothesis presumes that MUP genes and proteins are highly variable in wild populations, and that individuals produce their own unique and stable combination of MUP proteins. Penn's team and proteomic specialists at Vetmeduni Vienna now provide evidence that directly challenge this hypothesis for the first time. The team started by analysing the MUP gene cluster of wild house mice by direct DNA sequencing. Rather than finding highly variable sequences, they discovered that individuals show no variation at MUP genes whatsoever. Moreover, they found unusually low genetic variation through the entire MUP cluster. "We initially wondered how natural selection could maintain high levels of variation of MUP genes, but now we have to explain the remarkable lack of variation. Because of the high sequence similarity or homology of different MUP genes, we were sceptical that they could simultaneously show high variability among individuals," says Penn. The team additionally discovered that conventional gel-based techniques do not separate different MUP proteins, which posed a difficult technical challenge for measuring the regulation of different proteins. Proteins had to be analysed with new, state-of-the-art mass spectroscopy instead. Using this gel-free method they found that individuals show almost no variation in the number of MUP proteins expressed. The assumption that MUPs provide a stable individual barcode was also refuted by Penn and his collaborators. The new proteomic methods made it possible to identify the different MUPs expressed in individual urine samples over time. "Our results show that mice change the MUPs they produce depending upon a social context. The number of MUPs in the urine of male house mice is surprisingly dynamic. Future experiments are now needed to determine genetic basis for kin recognition and why males differentially regulate MUPs depending upon the social and reproductive contexts," says Penn. Major Urinary Proteins in the mouse are soluble pheromone receptor proteins that provide pheromone receptivity.